We are proud of our lengthy tenure in Pensacola, Florida, and the surrounding areas as we strive to continue with our endeavor to offer quality service. 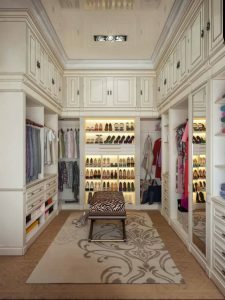 Advanced Space Concepts specializes in designing and building custom cabinetry for closets, home offices, pantries, entertainment centers, bookcases and laundry rooms. Our goal is to maximize your space and personalize it to fit your needs all the while increasing the value of your home. Months of professional training and years of experience enables us to analyze and execute custom space planning with expertise, confidence and knowledge. ASC adopted a sophisticated computer assisted design program (CAD system) that allows our customers to view our renderings in a 3-D format giving them the tool to properly visualize the concepts that we created. We welcome the opportunity to help you with your organizational projects. Call us at 850-453-0290 or e-mail me at Louisette@klosets4u.com . The images on this site are representative of what ASC can do for you .